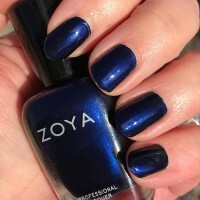 Ibiza by Zoya can be best described as a blackened indigo-blue brightened slightly by subtle metallic blue shimmer. 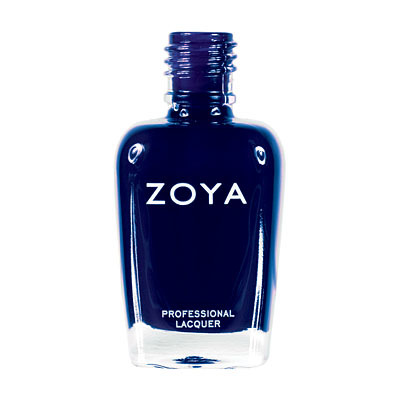 This bold blue is the new black for nails. 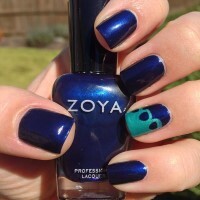 Zoya Nail Polish | IbizaVery pretty! 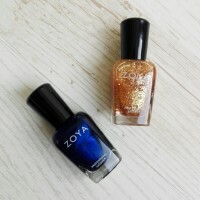 I don`t normally wear very dark colors, especially blues or blacks, but I received Ibiza by mistake and absolutely love it! 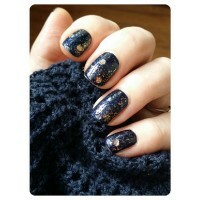 It`s gorgeous alone, but looks like the starry night sky with a glittery topcoat over it. 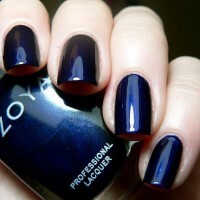 Love this dark blue. It is very dramatic. 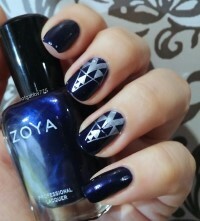 I like it for blending with a lighter blue or grey. 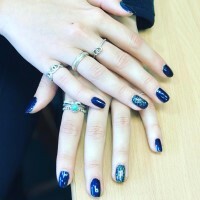 I did a gradient manicure with Breezi and loved it! 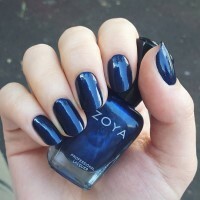 It`s a beautiful color but I almost wonder if I got a bad bottle. 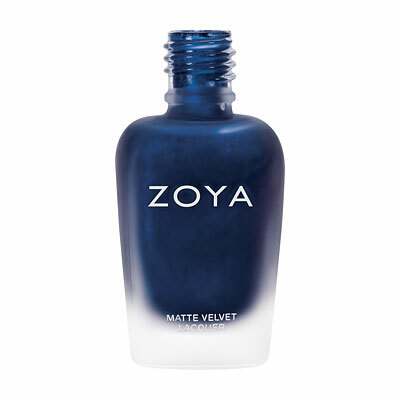 It`s super thick and doesn`t apply very smoothly at all. 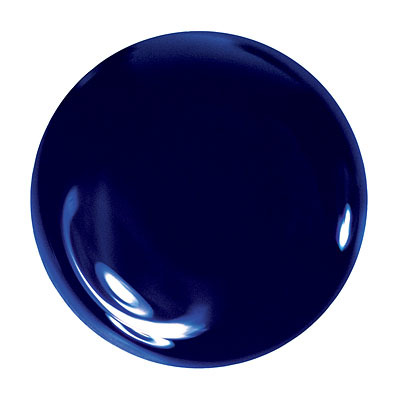 Ibiza almost appears black until it hits just the right light, when it shows itself as a beautiful deep navy blue. 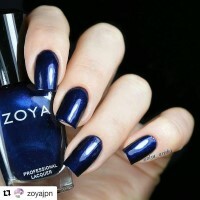 A beautiful shade of dark, night blue, but there is no glitter as shown on the sample spoon. 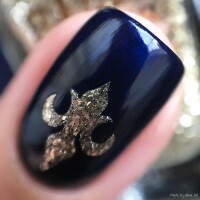 Still gorgeous though! 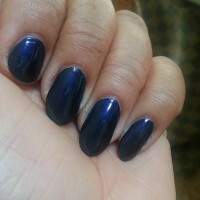 It`s a nice-enough really-really-dark navy color, but with two big caveats: One, that the "subtle blue shimmer" is not just subtle but nearly-invisible even in direct light, and two, that even over a good basecoat it stained the hell out of my nails. Hope you weren`t planning on wearing a sheer after Ibiza! 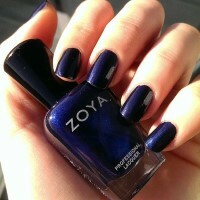 Ibiza is a deep indigo blue with shimmer. 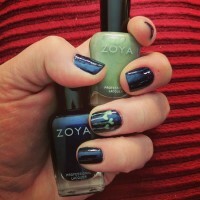 Just gorgeous, it is true to color in one coat but better depth in two. 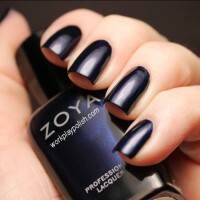 This blue is so much better than Indigo, if you`re trying to decide between the two, choose this one. 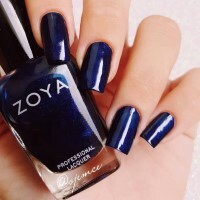 I absolutely love this color!! 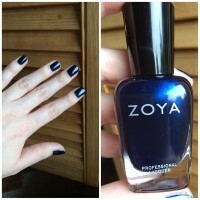 In the shade it looks black but in the light it`s a gorgeous deep blue. 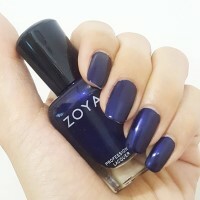 Doesn`t chip for days....I love love love this color. 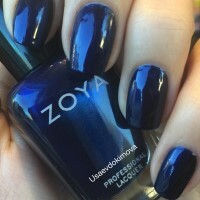 very nice dark polish, and blue enough to not make me feel too goth-y ;) super easy to apply! I purchased this nail polish (along with Yasmeen) about a week or two ago. 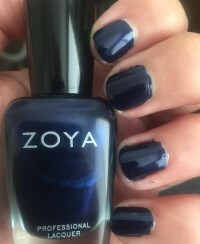 First off, I have had Ibiza on for about 4 days now and I love the color! 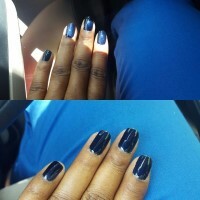 It is opaque with 2 coats and it has already lasted longer than some of my OPI colors. 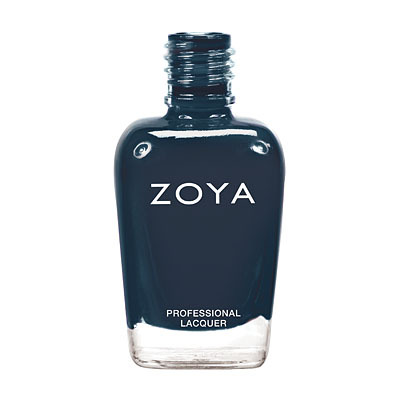 This product also shipped to me within a few days which was awesome. 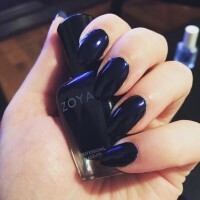 I would highly recommend this color to anyone! Ibiza is the better sister to Indigo. She doesn't try to pretend to be something she's not, she just blue goodness. She is as she appears to be and that is gorgeous.